Could it be that the reason a majority of liberals want socialism is that they are simply too tired from apologizing all the time to muster up any energy to work? The latest mea culpa comes from 2020 presidential candidate Beto O'Rourke less than 48 hours into his campaign. 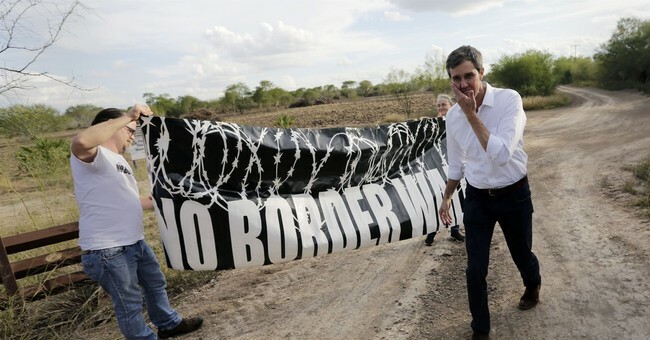 Beto, who the National Review aptly describes as a weirdo and "a man so apart from other human beings that he recently thought nothing of ditching his wife and three kids so he could drive around the country, alone", asked forgiveness for several jokes he made about his family while on the campaign trail. Critics ranging from Democratic operatives to liberal activists were mortified the white, heterosexual male would make such comments. But, Beto admits these moral superiors are astute in their opprobrium. "So yes, I think the criticism is right on. My ham-handed attempt to try to highlight the fact that Amy has the lion's share of the burden in our family -- that she actually works but is the primary parent in our family, especially when I served in Congress, especially when I was on the campaign trail -- should have also been a moment for me to acknowledge that that is far too often the case, not just in politics, but just in life in general. I hope as I have been in some instances part of the problem, I can also be part of the solution," Beto added according to CNN. The man touted by some as "Tex Kennedy" with a driving record to complement the actual Ted Kennedy, is just the latest Democratic candidate to beg for forgiveness in what some describe as "The 'I'm sorry' 2020 Democratic Primary." With already 15 Democratic hopefuls seeking their party's nomination and nearly as many apologies for past positions that offend the progressive Puritans, it is clear this is going to be a long, long road until the actual election against Republican President Donald J. Trump.